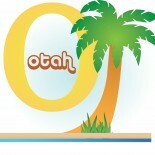 After years of hard work and dedication, OTAH has finally succeeded in getting our occupational therapists and assistants full licensure in Hawaii. Today Governor Abercrombie signed this bill into law! Please read more for the AOTA State News Report published about this historic even for all occupational therapists and assistants in Hawaii! Thank you very much to all! Your determination and dedication is an example to all of us. When will licensing information go out for COTA’s? I’ve looked on various sites, but there is no information. Please contact the DCCA on when that will start. This entry was posted on July 3, 2014 by OT Joni and tagged Hawaii, occupational therapists, OTAH.